All across Canada, diverse communities of Indigenous peoples – First Nations, Inuit and Métis – are using the power of their collective voice to make changes at home and at the highest levels of government. More than ever before, they’re using a different tactic that’s as old as Canadian democracy itself – the ballot box. In the past, many Indigenous peoples chose not to vote. The reasons were multi-faceted: discrimination against Indigenous peoples trying to vote, resistance and apathy towards unfair government institutions and policies, and disinterest. Recent years have seen a real change, with Indigenous peoples across the country using their power at the polls to elect record numbers of Indigenous representatives and change the national conversation on critical issues affecting their families, communities and peoples. The upcoming election in Ontario means that the voice of Indigenous peoples at Queen’s Park may become louder than ever before. Following the passing of the Representation Statute Law Amendment Act, 2017 (Bill 152) last October, two new northern ridings were established in the province: Kiiwetinoong and Mushkegowuk-James Bay. In line with recommendations proposed by the independent Far North Electoral Boundaries Commission, the ridings were created to boost Indigenous representation in the provincial legislature. Their creation doubled the number of ridings in Ontario’s Far North, which also includes Kenora-Rainy River and Timmins. With the Indigenous populations in Kiiwetinoong and Mushkegowuk-James Bay estimated at around 68 per cent and 27 per cent respectively, candidates hoping to be elected in these new districts will need to present platforms that reflect and respond to the unique issues and challenges that persist within these communities. Which issues are most likely to decide the vote in these ridings come election day? Read on to find out. 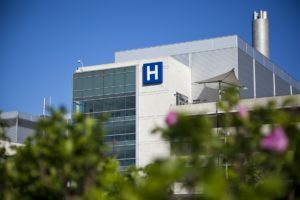 With Northern Ontario lagging behind provincial averages in quality of health and health care, the issue of health equity is likely to matter the most among northern First Nations, Métis, and Inuit voters in the upcoming provincial election. Are more likely to report having multiple chronic conditions. These issues can largely be characterized by systematic and geographic challenges as health care professionals in these areas must serve a population that is spread over a wide land mass with low population density. The issue also impacts access to mental health, opioid and alcohol addiction treatment, and youth suicide prevention – all of which continue to deeply affect Indigenous communities across the north and drive committed activism from youth and elders alike. In 2016, the Ontario government launched the First Nations Health Action Plan to ensure access to more culturally appropriate care for Indigenous populations, particularly in the north. Last year, as part of the province’s response to the Truth and Reconciliation Commission, they also announced investments to expand access to Indigenous Mental Health and Addictions Treatment and Healing Centres and mental health and wellness programs in Northwestern Ontario. But the challenges are steep, and results have yet to be widely seen. The PCs and NDP will undoubtedly highlight these shortcomings and propose locally-specific proposals in efforts to squeeze votes away from the Liberals come June. 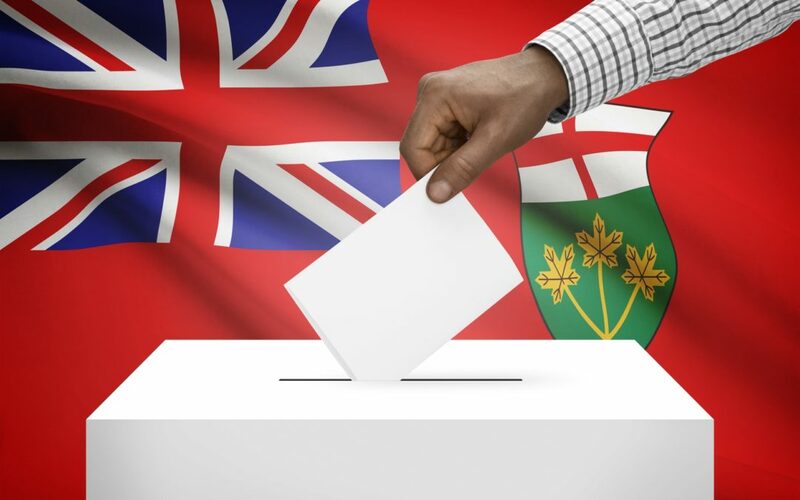 Judicial reform is another key issue that is likely to impact how Ontario’s three parties fare among northern voters in the provincial election. With incarceration rates for Indigenous populations in the province – particularly in northern communities – disproportionately higher than for other demographics, the call for improved representation on Ontario’s juries is an important issue for Indigenous activists. Indigenous activists have long been calling for improved representation on Ontario’s juries. As a result, in 2011 the Liberal government commissioned retired Supreme Court of Canada Justice Frank Iacobucci to examine the lack of Indigenous representation on juries in the province. His report, released in 2013, found that the problem was particularly severe in Northern Ontario where Indigenous people account for up to 36 per cent of the population in some areas, but less than 10 per cent of jury membership. Iacobucci also made a series of recommendations in his report which the Ontario government has slowly begun to push forward, starting with the establishment of an implementation committee and appointing an Assistant Deputy Attorney General specifically for Indigenous issues. The issue surged to prominence recently on the national stage when a Saskatchewan jury with no Indigenous members acquitted farmer Gerald Stanley in the shooting death of Colten Boushie, a young man from a nearby Cree reserve. The case (among others which have recently made national headlines) raised the need to establish an equal playing field for Indigenous populations when it comes to jury selection in Ontario. With Indigenous rights a distinctive part of both Premier Wynne and Andrea Horwath’s election platforms, Doug Ford will have to present a comparable mandate if he wants to prove competitive in the province’s northern ridings. 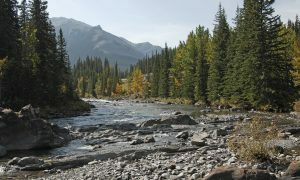 Finally, there is also the ongoing issue of consultation and accommodation of First Nations, Métis, Inuit groups by the provincial government, particularly when it comes to resource development projects. While some Indigenous groups have created consultation laws to govern such issues, and Ontario has outwardly been very good at ensuring these laws are taken into consideration when there is development, there has been no wholesome plan for creating a clearer and more proactive process for consultation and accommodation with Indigenous communities to date. As a result, certain developments (e.g. the Ring of Fire mining development) have proved harder to achieve reconciliation on than others. 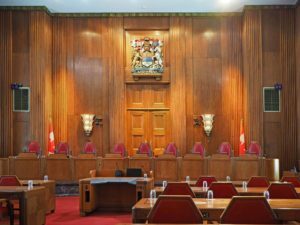 A recent trio of federal and provincial court decisions has suggested the Ontario government will need to make consultation with Indigenous communities a core part of approving resource development projects, which has not been regulated before. Despite the fact that the Liberal government signed a Political Accord with the Chiefs of Ontario to improve the relationship between Indigenous leaders and the province, and while Premier Wynne has been consistent in meeting with First Nations leadership over the last few years, consultation has been something of a moving target for her government, giving her opponents an opening to campaign on (Doug Ford’s recent comments on the Ring of Fire development notwithstanding). The political parties vying to form the next Ontario government will need to address the above listed issues and more (e.g. electricity costs, infrastructure, etc.) if they wish to win the northern and Indigenous vote in the upcoming election. 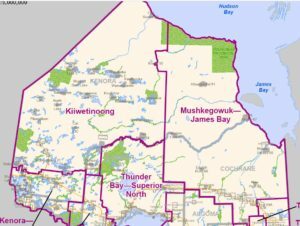 By adding these new electoral districts in Ontario’s Far North, the province has given a stronger political voice to Indigenous communities living in these areas, and a structure where their unique issues will have weight. The outcome is sure to be one that results in positive change for these communities for decades to come. 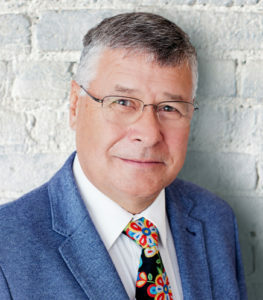 He was elected as Grand Council Chief of the 42-member First Nations of the Anishinabek Nation in 2004, after serving four terms as Chief of Wasauksing First Nation. Read more about John.